This is not a run-of-the-mill sled excursion—it packs in several fun activities and concludes with a treat that’s hard not to love. 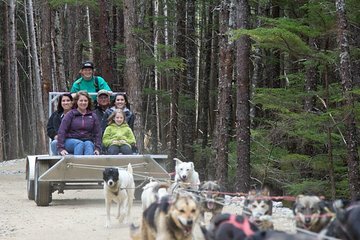 Follow your guide on a short tour of downtown Skagway, hop on a Unimog—a multipurpose, all-wheel drive vehicle—for a ride up a mountain, and then take a sled ride with Alaskan huskies through Tongass National Park. Afterward, get a chance to spend time with husky puppies.